Last night, Plus attended an excellent talk at the Edinburgh International Science Festival by Professor Chris Rapley, who was awarded the Edinburgh Medal. The Edinburgh Medal is awarded each year to those within science whose professional achievements are judged to have made a significant contribution to the understanding and well-being of humanity. Profesor Rapley's talk was entitled "Great while it lasted; now what?" referring to how humans have exploited carbon-based energy sources for the last century, but now must confront the fact that we are exceeding the safe limits of such use. Professor Rapley is a systems scientist and has studied the Earth mathematically as a complex system through roles as Director of the British Antarctic Survey, Executive Director of the International Geosphere-Biosphere Programme, and Professor of Remote Sensing Science and Associate Director of University College London's Mullard Space Science Laboratory. "...has no user's manual, and no spares... . Many senior economists act like they don't understand this." He likened our current situation to that of the next day after a great party. Burning immense amounts of carbon has given humans a much higher quality of life than before the use of carbon fuels, however the carbon dioxide is the "hangover." He attacked sceptics of climate change by saying that the weight of scientific opinion supports the assertion that climate change is real and man-made, highlighting that 90% of climate change is anthropogenic. Another interesting, and perhaps unfortunate, point (well, for me anyway) was that meat-eaters contribute far more than vegetarians to climate change. This is because much more energy goes into meat production than vegetarian foods. Professor Rapley's talk was preceded by an oration by Dr James Lovelock. Dr Lovelock is a systems modeller and is well-known for proposing the Gaia hypothesis — that living and non-living parts of the Earth are a complex interacting system that can be thought of as a single organism, and that all living things have a regulatory effect on the Earth's environment that promotes life overall. Lovelock and Rapley have recently proposed a radical idea to "Help the Earth heal herself" in a letter to Nature Magazine. The proposal is to use huge pipes to pump lower ocean water, rich in nutrients, to the surface, stimulating the growth of algae and plankton in the upper ocean. The surface layer of the ocean is increasingly starved of nutrients such as phosphates and nitrates. These nutrients are needed by the algae to grow, but as the surface warms, there is less mixing with the nutrient-rich water layers beneath. The mixing of ocean layers would encourage algal blooms — the algae take up more carbon dioxide, which is eventually locked up in the tiny shells of plankton when they die and fall to the bottom of the ocean. This proposal essentially assumes that it's too late for carbon emission controls and other alternatives to have any effect on climate change — the damage is already done. To read more on the mathematics of climate change, read the Plus article Maths and climate change: the melting Arctic. 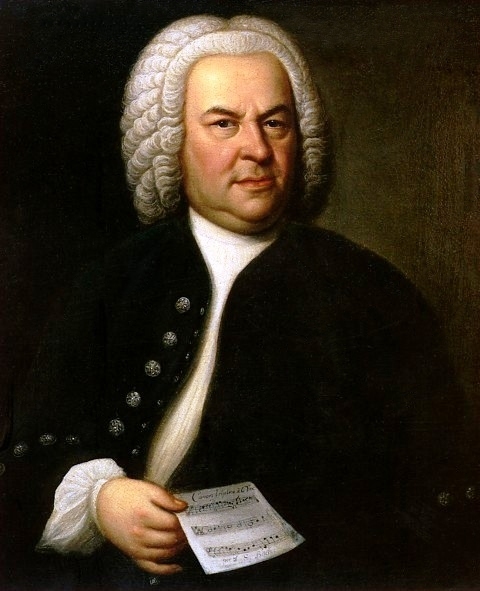 Another interesting session that Plus attended was on a computer that had been taught using hidden markov models to harmonise melodies in the style of Johann Sebastian Bach. A hidden Markov model is a statistical model in which the system being modelled is assumed to be a Markov process with unknown parameters, and the hidden parameters need to be determined from the observable parameters. Hidden Markov models are known for their application in pattern recognition such as speech, handwriting, musical score following and bioinformatics. You can read more on Machine Learning at the Edinburgh Festival on yesterday's blog, and you can read more about Markov Processes in the Plus article Formulaic football. And to read more on using hidden Markov Models to analyse Bach, see the group's publication Harmonising chorales by probabilistic inference. This afternoon, I eagerly await the screening of Pi in the maths film festival. For more information and a comprehensive program, see the Festival website. The event runs until April 6.